The Regency Hotel Downtown is Columbia's only hotel located in the heart of downtown. The hotel is located four blocks away from the University of Missouru - Columbia, two blocks from Stephens College, four blocks from Columbia College and within walking distance to over 110 retail stores and 70 restaurants. Each hotel room is well appointed with a king size bed or two double beds. 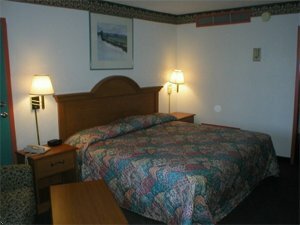 Rooms have refrigerators, microwaves, irons, ironing boards, coffee makers, and hair dryer. Complimentary wireless high-speed access throughout the hotel, outdoor pool, complimentary use of Gold's Gym. Stay where the action is. Downtown Columbia, within the district! Columbia Regional Airport: come out of airport, take 63 North 15 miles. Get off at Broadway, go west 3 miles. Hotel is 1 block west of College Ave, on the right. I-70 traveling East to exit 126 Providence Rd. Go South 1.5 miles to Broadway. Turn left onto Broadway. Go through downtown. Hotel is located on the left. PRIMARY AIRPORT Columbia Regional Airport COU is located 20 miles south to the property. SECONDARY AIRPORT St Louis Lambert STL is located 110 miles east to the property.